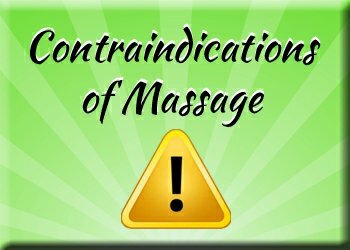 OK massage contraindications means when you shouldn’t get a MASSAGE! Massage therapists are NOT doctors! If you are unsure about your condition PLEASE consult with your doctor first! If we the Licensed Massage therapists have any doubt we will cancel your appointment until we have an actual doctors note from your physician.